The schedule has been set for the 2017 CXCC West. This year we are excited to introduce two new venues – Vega, AB and Hope, BC. Both locations have hosted successful provincial events in the past but this year will be the first time for a National event. 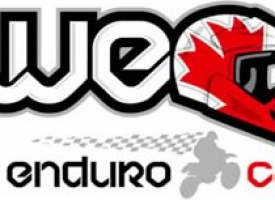 World Enduro Canada would like to thank our western partners – Pacific Northwest Motorcycle Association and the Alberta Motorsports Association – for all their help in getting these dates and locations in place. Specific details regarding each round will be released in the coming weeks. Keep watching www.worldendurocanada.com for up to date news and contact information. Hammertime Wants Your Questions. It’s Mail-In Time!